Welcome to our guide to the Shiba Inu. The DogExperts.info website aims to ask questions to breeders, vets and experienced owners to get the answers to your most frequently asked questions about the Shiba Inu breed of dog. We would love to feature your dog and publish any photos or pictures of your Shiba Inu you would like to email us. Are you looking to buy a Shiba Inu – then see our list of Shiba Inu breeders. 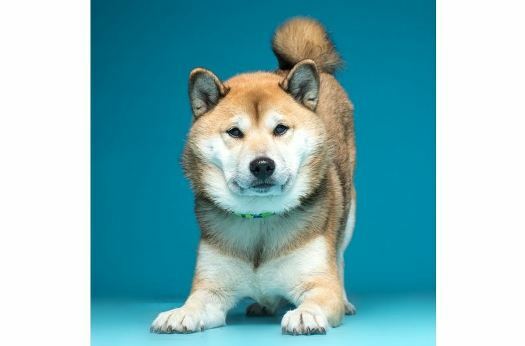 On this page, we feature an interview with Bonnie Ip, the owner of Sumo, a male Shiba Inu. Bonnie, can you tell us where you and Sumo live? We live in Toronto, Ontario, Canada. How long have you owned a Shiba Inu? We’ve had Sumo since puppyhood, at 8 weeks old. He’s just over 3.5 years old now. Where did you buy him from? We purchased him from a CKC breeder located in Goderich, Ontario, Canada. They’re not your average dog, they’re very cat like and full of sassy attitude. They’re known to be a cat in a dog’s body. Not all Shibas are the same. The typical Shiba Inu is high energy, smart, stubborn, aloof to strangers, but is incredibly loyal and bonds tightly with his or her owners. Their stubborn personality makes them one of the more difficult breeds to train, but with the right owner and patience, they can be trained. They’re also very smart, and will outsmart the owners any day, so you have to always stay on your toes and try to predict what they are thinking next to prevent any misbehaviour. In our experience, Sumo carries a lot of the typical Shiba traits, except “lazy” is his middle name. He mellowed out very early in comparison to other Shibas. He’s remained calm in almost all situations, and when he decides he wants to burn some energy, it lasts for about 5 minutes only. I believe the Shiba Inu is quite a popular dog on social media/Internet these days, can you tell us how this started? 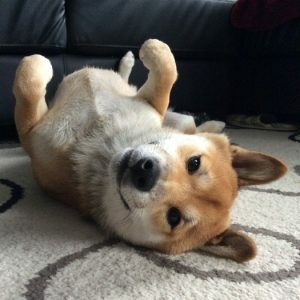 A breeder from the US had a litter once and set up a live stream camera to watch the puppies while they were at work, it was known as the “Shiba Inu Puppy Cam.” It gained a lot of views and awareness when it was live streaming every day. The Dog meme and the movie Hachi also gave the breed a lot of media. Even though the movie Hachi is a story about an Akita, the version that Richard Gere starred in featured a Shiba Inu puppy at the beginning of the movie. What are your feeding routines, such as how often and what types of food do you feed the Shiba Inu? Sumo is fed twice a day, morning and night. In the morning he gets a raw diet with raw kangaroo chunks, and in the evening he gets a cup of kibble. Sumo has food allergies, so we try to feed a limited ingredient diet. Sumo has terrible allergies. He’s on a limited ingredient diet to control any food allergies. During the warmer months he gets medicated baths to control the yeast growth on his skin. The breed can be prone to allergies, hip dysplasia, glaucoma, and patella luxation. Obviously grooming is another major aspect of owning a Shiba Inu, can you offer any tips, advice and popular accessories for your Shiba Inu? The Shiba Inu is very cat like, so they’re quite low maintenance in this category. One should never shave their Shiba unless it is absolutely needed for something like surgery. They have a double coat, and the undercoat will shed a TON during the seasonal change; the worst is in the spring. To control the shedding, I recommend getting a Kong Zoom Groom to loosen up the undercoat, and a good slicker brush to collect the loose fur. A good bath can help eliminate a lot of the dead fur during shedding season. Minimal bathing is best as their coat contains a natural oil that helps repel dirt, I know some owners bathe their Shibas 1-2 times a year only. Any other useful tips and advice that you can offer to potential new owners? Start training and socializing early. The breed is known to be fear aggressive, if not socialized correctly and early, they will have problems in the future. Since they are also stubborn, you have to be very firm with them, otherwise they’ll completely ignore. Lastly, don’t be afraid of the shiba scream, it’s more dramatic than what it really is. Here is another great interview with Israel Aparicio, owner of Hachi, a male Shiba Inu. Hello all! My name is Israel Aparicio, and I work as an engineer in the outskirts of Madrid (Spain). However, my true passion has always been dogs, and I’m sure it will always be. I have studied as dog trainer and I’m continuously trying to learn more, new philosophies and methods of teaching, about dog care… I have three dogs currently: a Siberian Husky, a Basset Hound… and of course my little Hachi. It was about six years ago that I learned about the Shiba Inu… and that event changed my life forever. After getting to know the breed, I started to read more and more about them until I finally decided to add one to my little pack and family. It’s been four and a half years now since Hachi entered my life as a small and energetic two-months old puppy. Where did you buy him/her from? 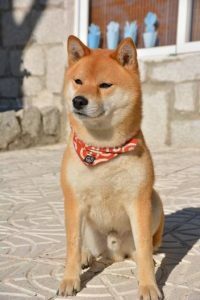 It is quite difficult yet to find a Shiba Inu here in Spain, as there are only a handful of respectable breeders and several other shops and puppy-farms of dubious practices and reputations. I finally managed to get in touch with one of the oldest professional breeders in Spain, with a long waiting list. However, due to luck or fate (I prefer to consider it was the latter), another family finally backed out at the last moment and suddenly Hachiko was offered to me! Needless to say, I didn’t hesitate at all. I could list many small details of his complex personality, but I will mention only a few of the ones that really catch my eye. On the one hand, the intense peace and tranquility they transmit, not only in calm moments: although it may sound exaggerated, you can almost feel the dignity and spiritual peace of a true Japanese samurai through his eyes and his body language. I am sure that the lucky ones who share their life with a Shiba understand what I mean. On the other hand, there is another fundamental aspect that in my judgment distinguishes them from many other breeds, and it is the fact that the love and trust of a Shiba Inu are not given away. You need to earn them with respect, affection and play and you also need to understand that it is not advisable to harass them in their time of rest. But once given, the love and loyalty of a Shiba becomes strong. Only a few other animals can create the same bond that lasts for a lifetime. As I mentioned before, there is no doubt that they have a very special character, which may not be suitable for all kinds of people if they do not know what to expect. They often have a strong temper and a brave character that leads them to face situations in which another dog would surely back down. Males can be especially competitive with other males, generating possible conflicts if the situation is not managed properly. It is therefore very important that an adequate socialization of the puppy from an early age is established. They are also independent dogs (some people say they have a feline character in this aspect), who need their own space and can be suspicious of those who invade it. In my opinion, it is especially important to respect that side of their personality to earn the trust and affection of a Shiba Inu. Finally, being a primitive race, they may have escapist tendencies when they are at liberty (they will chase anything until they realize that they have left you behind and that they are not sure how to return!). So it is advisable to work this point also with assiduity. A Shiba is an energetic dog that needs exercise and the frequent chance to run freely and safely. On the other hand, at home, they are usually very calm dogs (once they stop being puppies, of course!) but always alert. If a Shiba Inu barks (a rare event indeed), it is because he has detected something strange, rest assured! 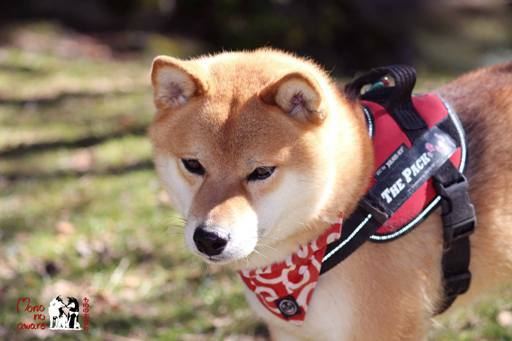 Although in my case it was the opposite (I knew the breed personally before knowing of all their fame in the network), I think that much of the responsibility of this multimedia Shiba-explosion has to be given to the popular “shiba doge” that has starred countless memes about a multitude of topics, and that is surely well known by all. In addition, it is impossible to deny the adorable fluffy and foxy look of a Shiba, which has helped to popularize videos and gifs in which these small dogs appear, to the point that there are several famous Shibas on the internet (such as the famous kiosk in Suzuki (Tokyo) in which a Shiba Inu attends his clients himself). In fact, in Japan Shibas are used as lure in several establishments that have nothing to do with dogs. Finally the cinema has also helped in their popularity. Many have watched the film that tells the story of Hachiko, in which it is a Shiba Inu and not an Akita Inu that starred in the puppy scenes. It is also clear that I am a big fan of the true story… and that I have not been very original with the name of my little one! While I initially started with high quality kibble, I finally decided on a natural diet because of the many advantages it presents, besides being much more appetizing! High quality food in any case is indispensable to avoid health problems in the medium and long term. The Shiba Inu can also be a difficult breed at meal time since it often gets bored to eat the same day after day. In fact, it is not a defect that we can reproach them for since: who would not tire after eating over and over the same meal, even if it was your favorite food? That’s why I always look for variety in flavors when preparing Hachi menu, and add supplements (such as unsalted cheese or yogurt free of additives, good quality oil, or nuts again without salt or additives) which, while making it more appetizing and varied, are also more nutritious for the dog. Regarding the frequency, although when he was a puppy he took three or even four servings a day during his first months, currently as an adult two rations are the most appropriate to awaken his appetite again and to properly space his digestive processes. Initially, the Shiba as a dog-breed is not prone to common diseases or conditions found in other types of dogs (such as gastric torsion in larger breeds, etc), nor is it especially weak or sickly. 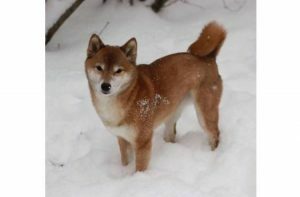 However, as a result of the gradual introduction of Western races during the 19th and 20th centuries in Japan, the Shiba Inu breed was in danger of disappearing, and only after a strong campaign of breeding and conservation could the breed recover and ensure its survival. Unfortunately, it was necessary to carry out several inter-generational mating due to the shortage of available individuals, and because of this congenital diseases appeared in some bloodlines that breeders are still struggling today to make disappear: hip dysplasia and patellar dislocation. My little Hachi is fortunately free of them, but it is very important that veterinary tests are requested from the parents of a Shiba Inu puppy to ensure that they are free of these diseases and that they cannot pass it on to their puppies. Likewise, it is advisable to be on guard against possible eye defects which is also of genetic origin that may manifest in the maturity of our partner. However, a Shiba Inu from a responsible breeder, with good food and care, will grow strong and healthy as few. Again, the best advice I can give in order to have a Shiba Inu (and any dog actually) looking bright and healthy is to take good care of his diet. Using oils rich in omega 3 and 6 for example as a food supplement will help give his coat a silky, shiny look. An adult Shiba in good health and in normal environmental conditions will only shed twice a year: during the beginning of spring and when the cold autumn arrives, during which time we must be especially constant in his brushing (and always with a brush suitable for her fur). If we do this, we will largely prevent hairs from completely invading our home. Continuous moulting throughout the year can be a sign of poor diet or even some degree of stress. Likewise, if not necessary we should not bathe our Shiba too often (considering that it is not something they especially like! ): With two or three baths a year it should be more than enough. Of course, we should not limit ourselves to their fur, and always keep their eyes, ears and mouth clean. This will help us to keep a good appearance and more importantly, a stronger health. Finally, my favorite accessory for Hachi, one that in my opinion also complements perfectly his appearance and his Japanese origin is his traditional bandanna: the karakusa. Basically, a compilation of what I said above, but it never hurts to make it clear. The three maxims of the Shiba Inu: give him plenty opportunities to discharge his energy through physical and mental exercise; play with him and propose activities in which you both interact; and respect his space when he decides to rest for a while. Do not treat him like a teddy by constantly hugging and pampering him. But please do not misunderstand my words: in fact, it is a myth that the Shiba Inu is not a loving race. If you have managed to create a real bond following these indications he will be one who will look for you to give you some good licks and caresses. A Shiba has to keep his human clean! Finally, do not wait too long to teach him basic tricks like the call, and socialize him since he is a puppy with reliable dogs that you know to avoid future behavioral problems during his maturity. 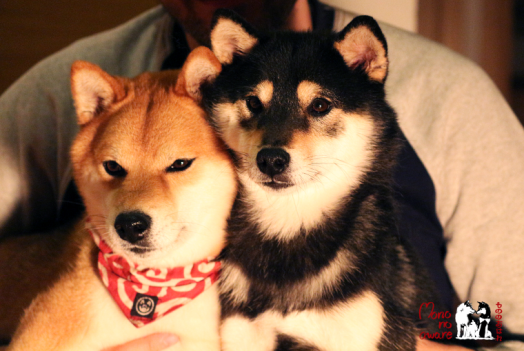 Let’s get to know Margaret Jackel and her pair of Shiba Inus, Yumi and Kiba. My name is Margaret and the names of our Shiba Inus are Yumi and Kiba. We live in Hamilton, Ontario, Canada. We first welcomed a Shiba into our family in 2009. We purchased Yumi from Shyguy Kennels, and Kiba is a rescue from the GTA Shiba Rescue. For me, it’s their personality! While each Shiba will differ from dog to dog as humans do, they can be aloof to people other than their owners, and have a healthy dose of attitude which us Shiba owners like to call “Shibatude”. They are an independent breed, loyal, and fastidious enough to be considered catlike in mannerisms. 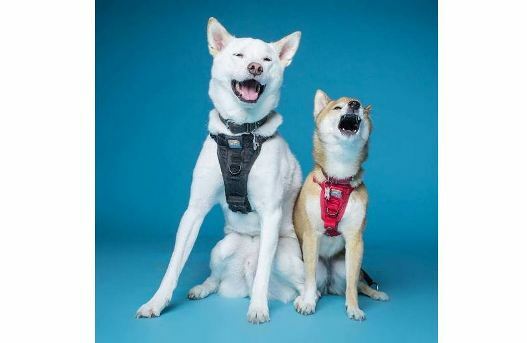 They are also known for a very distinctive yell referred to as the “Shiba scream” which you can find videos on YouTube on. Just make sure your volume isn’t turned up too high when you watch it! The breed is considered a national treasure in their native home land of Japan, but the popularity of the Shiba Inu in North America likely began when the breeders located in San Francisco, SFShiba affectionately known as Mr. & Mrs. Shoes by their adoring community live streamed a litter of puppies in 2008 on UStreamTV to keep an eye on the litter. The feed went viral. 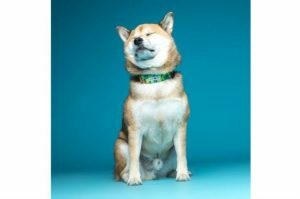 Another contributing figure for the popularity of the Shiba Inu would have to be Marutaro, who had the second most followed Instagram account in Japan in 2016 and currently has 2.5m followers to date. We feed the dogs twice a day, once in the morning, and once in the evening when we humans eat supper. They are fed a dry kibble but given a wide variety of treats throughout the day. We have not personally encountered any health issues, but know of other owners of the breed who have. Obviously grooming is another major aspect of owning a Shiba Inu, can you offer any tips, advice and popular accessories for your Shiba Inu? If you plan on owning a Shiba Inu, be prepared to deal with fur everywhere. Regular brushing of the coat will keep it looking lovely, however, twice a year they blow their undercoat and will need to be brushed more regularly and their coat may look uneven due to tufts of fur coming loose. In general though, Shiba Inus are a clean breed and keep themselves relatively well groomed (see earlier comment about cat-like mannerisms) and because of this, do not require frequent baths. Please do your research before considering adding a Shiba Inu to your family. While they are wonderful dogs, they can rule your house if you’re not careful! There are owners who purchase a Shiba Inu puppies without being prepared for Shiba antics and with some cases, relinquish ownership of them. There are many lovely Shiba Inus who are awaiting adoption for those who are prepared. For those who can’t resist the puppy fluff however, please, as with any dog or breed, please research your breeder to ensure that it is a good one and not a back yard breeder or rehomer. When you do decide to add a Shiba Inu to your family, socialize the dog! It can make the world of difference in their behaviour. Why Choose a Shiba Inu? What type of owners buy a Shiba Inu? What in your opinion are the best things about the Shiba Inu breed? Why do you think the Shiba Inu is special? What are your favourite things about the Shiba Inu? Are you glad you choose to buy a Shiba Inu and not another breed? How would you describe the Shiba Inu temperament? What advice might you give to people thinking about whether they should buy a Shiba Inu over other breeds? What are the history and origins of the Shiba Inu? What colors of Shiba Inu are most popular? What does the Shiba Inu look like? What are the pros/cons of the Shiba Inu breed? What can a new owner expect in terms of differences between the Shiba Inu and other breeds? What type of typical personality does the Shiba Inu have? Is it possible to describe a fairly typical Shiba Inu? What is the breed standard/description for the Shiba Inu? Are there any downsides to owning a Shiba Inu that prospective owners should be aware of? Is the Shiba Inu breed of dog suitable for first-time dog owners? Some breeds can be described as greedy and prone to weight issues, would this apply to the Shiba Inu? Is the Shiba Inu breed suitable for a person or family that are out at work all day? 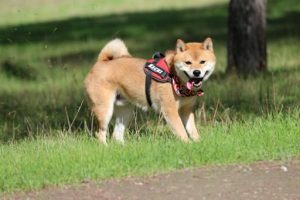 Some owners seek a breed suitable for barking and offering a guard dog role – how does the Shiba Inu match up to that role? Are there myths about the Shiba Inu – in other words do new potential owners come to you with misconceptions about this breed? What types of questions do you get once owners get their Shiba Inu home? What is the typical temperament of a Shiba Inu, so people know what to expect from their new pet? When fully grown how much on average does a Shiba Inu weigh? When the Shiba Inu is full grown in size what is the maximum height and length expected to be? Is the Shiba Inu ever crossed or mixed with other breeds of dog? Does the Shiba Inu smell or drool a lot? Do you have a Shiba Inu growth chart? What breed group does the Shiba Inu come under? Are there some types of people that you can suggest the Shiba Inu is not suitable for, perhaps families? How is the Shiba Inu with children? Do you think the Shiba Inu is suitable for families with young children? How does the Shiba Inu get along with other (existing) pets and do you have any tips or advice for new Shiba Inu owners in terms of successful integration? Is it better to buy one Shiba Inu or two? Would the Shiba Inu be suitable as a guard dog? Can I leave my Shiba Inu during the day while I go to work? What is the expected average lifespan of the Shiba Inu? In terms of life expectancy, how long on average would the Shiba Inu breed live to? How to handle the Shiba Inu puppy to start off – how much food, what type, how often? Do owners need to consider supplements for their Shiba Inu? How much did your Shiba Inu cost to buy? Can you offer advice to people looking to buy a Shiba Inu and how much should they spend? What advice would you offer new Shiba Inu owners? What types of people are buying the Shiba Inu and why? Where can I buy Shiba Inu rescue dogs or find a Shiba Inu for adoption? Please note that buying or searching for a ‘cheap’ Shiba Inu can be false economy as they may have health issues that cost you far more in the long-term – always buy from a good and responsible breeder! How would you describe the Shiba Inu puppy to potential new owners? What types of owners are best suited to owning a Shiba Inu? What inspired you to become a breeder and did you start with the Shiba Inu? As a Shiba Inu breed expert, are there any ‘essential’ tips you would like to share with new owners? How long does it take to housetrain/potty train a Shiba Inu? We invite you to email us your Shiba Inu’s pictures, in particular we are looking for photos showing Shiba Inu puppies at 1, 2, 3, 4, 5, 6, 7, 8, 9, 10, 11 and 12 weeks old as well as early pictures such as 1, 2, 3, 4, 5, 6, 7, 8, 9, 10 and 11 months old to a year old. Do they have any nicknames or does the Shiba Inu have popular names? If my Shiba Inu is pregnant what might the litter size be? Could the Shiba Inu be dangerous around young children? How do you prevent a Shiba Inu biting? 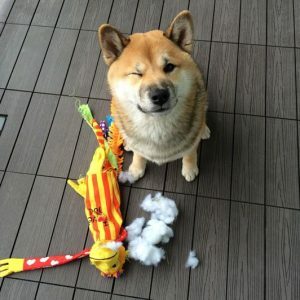 How do you prevent a Shiba Inu chewing? How do you stop a Shiba Inu jumping up? Does the Shiba Inu have an issue with excessive digging? Why does my Shiba Inu keep growling and barking? Is there a reason my Shiba Inu dog is often scratching excessively? In comparison perhaps to other breeds what can you say about the Shiba Inu and their exercise needs and do you have any tips or advice for new Shiba Inu owners? As a breeder of the Shiba Inu , do you prefer a collar or harness? 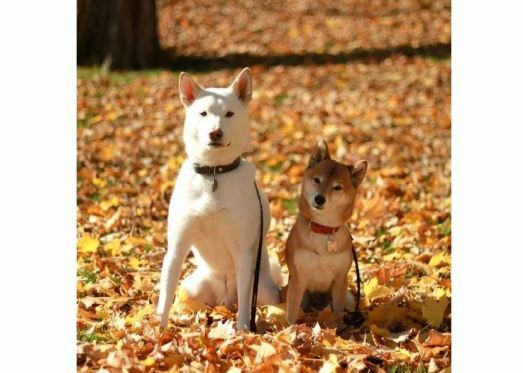 As an expert of the Shiba Inu breed do you prefer a standard leash or retractable? Can you offer any dog walking tips for Shiba Inu owners? What games and toys can you recommend for the Shiba Inu? How intelligent is the Shiba Inu compared to other dog breeds? Do you have any special grooming routines or tips and advice for new Shiba Inu owners? What accessories are required to be purchased for grooming a Shiba Inu? How much do Shiba Inu shed and how do I maintain their hair and how often? Is the Shiba Inu a hypoallergenic breed? Any advice/tips you can give concerning cleaning and bathing your Shiba Inu? Can you offer new Shiba Inu owners advice concerning fleas and maybe products you use in treatment and prevention? What advice and tips could you offer to owners who might wish to follow your path in showing the Shiba Inu? What started your interest in showing the Shiba Inu? 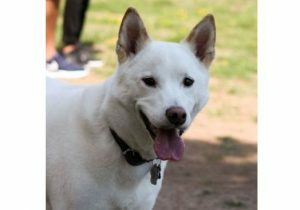 If a new owner perhaps wanted to meet other owners or find out more – perhaps they have an interest in joining a local club or maybe they wonder how they can start showing their Shiba Inu – where would they begin? How would an owner know they have a show-quality Shiba Inu and how would they start off? What official organisations are there for the new Shiba Inu owner and what benefits or services do they provide? In buying a Shiba Inu, can you offer advice and tips to new owners? How did you progress to becoming a breeder and why focus on breeding the Shiba Inu out of all the breeds you could have chosen? What do you think makes the Shiba Inu special to you? In comparison perhaps to other breeds what is it like to train a Shiba Inu and do you have any tips or advice for new Shiba Inu owners? How should new owners approach bringing a new Shiba Inu home, any advice and tips you can give? Should I allow my Shiba Inu to sleep in my bed or elsewhere in the house? Should my Shiba Inu sleep in a kennel or crate? Health is always a major concern when buying a dog, do you have any advice for new Shiba Inu owners to be aware of in particular? What is the recommended schedule for vaccinations for your Shiba Inu? What type of health issues can a Shiba Inu have and how do you deal with preventing these? Why does my Shiba Inu have diarrhea? Why is my Shiba Inu vomiting and do I go to the vets? When should I take my Shiba Inu for vaccinations and which ones do they need and how often? How often will my Shiba Inu be in heat? Should I consider getting my Shiba Inu spayed or neutered and when and how much does this cost and what are the benefits? My Shiba Inu is limping, what should I do and should I go to a veterinarian surgeon? Why is my Shiba Inu not eating? How much does it cost to insure my Shiba Inu? What healthcare issues or diseases might be excluded from companies that provide Shiba Inu dog health insurance? What age would you class as an ‘older or senior’ Shiba Inu? What changes in food and diet would you suggest making for an older Shiba Inu? Do you feed any supplements to an older Shiba Inu – or anything else which helps them as they age? Are there any health issues particular to a senior Shiba Inu dog? Do you have any advice for owners of an older/senior Shiba Inu or tips you can pass on? Learn more about the Shiba Inu by watching the video below.